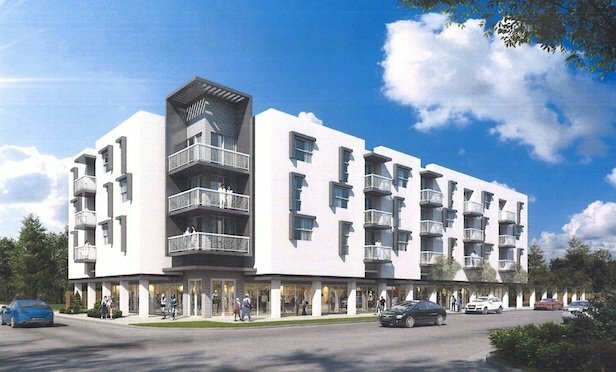 Carrfour, Florida’s largest nonprofit affordable housing developer, is partnering with the Jerome Golden Center for Behavioral Health to develop the Dr. Alice Moore Apartments project at 335 27th St. in the Northwoods Shore neighborhood of West Palm Beach. A rendering of the Dr. Alice Moore Apartments development in West Palm Beach. WEST PALM BEACH, FL—Miami-based Carrfour Supportive Housing has broken ground here on what it says will be the state’s first supportive housing development with services designed specifically for formerly homeless residents impacted by mental illness.